The AGM in May 2004 at Wolfie’s Restaurant was as usual a jolly and bacchanalian affair with excellent food. The present committee was voted in after a liberal infusion of chosen wines by HortResearch personnel. Geoff Webster was allowed to resign after many years of diligent service and as a penance had to give a farewell speech on twenty years in the oil trade. Professor Cambie broke the tradition of extremely brief and formal meetings (less than one minute) by saying kind and generous words about the chairman who has served the group since 1981(he must be mad). Pacific Lipids got a good write up in the April edition of Inform (AOCS). Anyone who wants a copy please contact the secretary. Laurence Eyres, Ruth Eyres, Dave Wilkins, Allan Woolf, Dennis Karl, Lynn Ferguson, Con Cambie, Charmian O’ Connor, Geoff Webster, Alan Grout, Margaret Edwards, Laurie Melton, Cynthia Lund, Gordon Winward, John Harpin. The group now has 93 members and still remains the best bargain in town at 25 dollars for life, if you can stand it that long. “Culinary Oils Teach In” (Technology, Health and the Developments of Emerging Oils) is planned for 24th November at HortReseach (Mt Albert). As a warm up Margaret Edwards and Laurence Eyres presented 1.5 day seminar of technology and tasting to an enthusiastic group of olive oil producers in Nelson. Lots of different oils were tasted including some really rancid examples. Margaret Edwards has just recently been honored for her expertise by being shouted a trip to Los Angeles to judge the California olive oils. Laurence Eyres made up a cocktail to prove how easy it is to make a fraudulent blend. We are still going to lobby NZFSA to get onto the import of olive oils (now worth 25 million dollars). The reputable traders and importers have nothing to fear and the whole industry will benefit by eliminating the poor quality suppliers. An interesting potential for the byproducts of the olive industry has arisen. 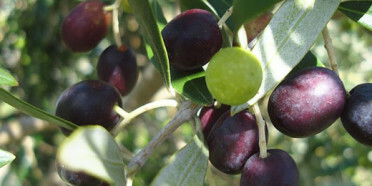 A Spanish company has patented an antioxidant polyphenol composition extracted from olive wastewater. The product called Hytolive has been patented and can be added to various foodstuffs to boost their antioxidant activity. Ideas and contributions welcome. (Website should be ready in about a months time). Meadowlea is the biggest brand in the spreads segment of the supermarket chiller with over $14.7 M in sales annually. They have just relaunched their product range in new attractive tubs which cover their original product, lite product, reduced salt and canola variants. Shane Lal of the University of Auckland has been awarded the Edible Applications Division Student Excellence Award by the American Oil Chemists Society. Shane is a student of Professor Charmian O’Connor and is currently doing her PhD on functional foods. She is currently in Cincinnati at the annual AOCS conference, collecting her award.